Say you are a courier company and you want to assign each parcel a unique QR Code. This QR Code contains a serial code which is linked to parcel details. This QR Code is scanned by your staff at each step of parcel movement (such as shipping and delivery) to update its shipment status. This way, QR Codes help people track their parcels. Here we’ll call them QR Code labels. 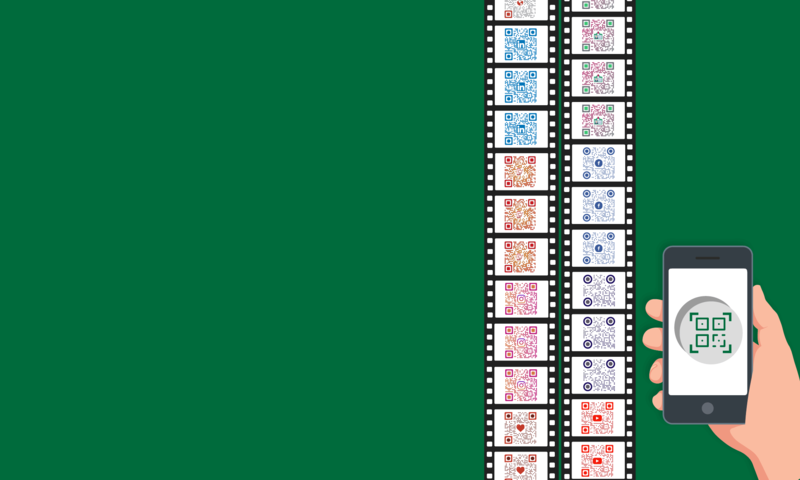 Suppose you want to create hundreds or thousands of such QR Code labels. Though you can create each label individually, it will take a lot of time and is impractical. What you can do here is use an online QR Code Bulk Generation service such as QR Batch. QR Code Bulk Generator helps you create multiple unique QR Codes within a short period of time. 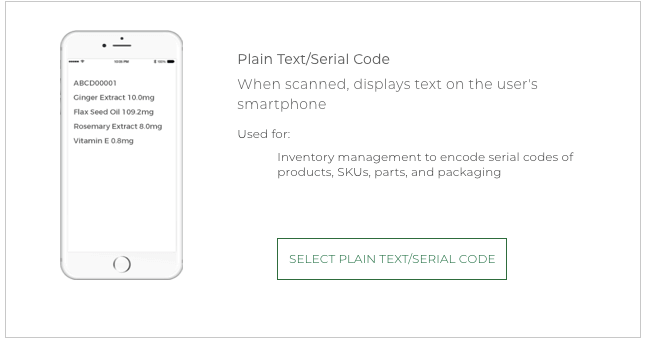 Other than parcel tracking, you may need QR Code labels for other use cases such as inventory management. To generate Website URL/ Simple Text/ Vcard profile QR Codes, you’ll have to create a spreadsheet containing data. iii. Specify prefix, starting value, increment value, and ending value. Make sure that the number of characters in the starting value are equal to those of the ending value. For example, the starting value cannot be 1 and the ending value cannot be 99. In this case, starting value will need to be 01. Once you specify data and proceed further, you’ll see three QR Code designs: Standard black-and-white, Custom logo, and Custom background. You can proceed with either of them. Designing allows you add logo and your brand colors to the QR Codes and give them a personal touch. This is specially recommended if your use case is promotional. 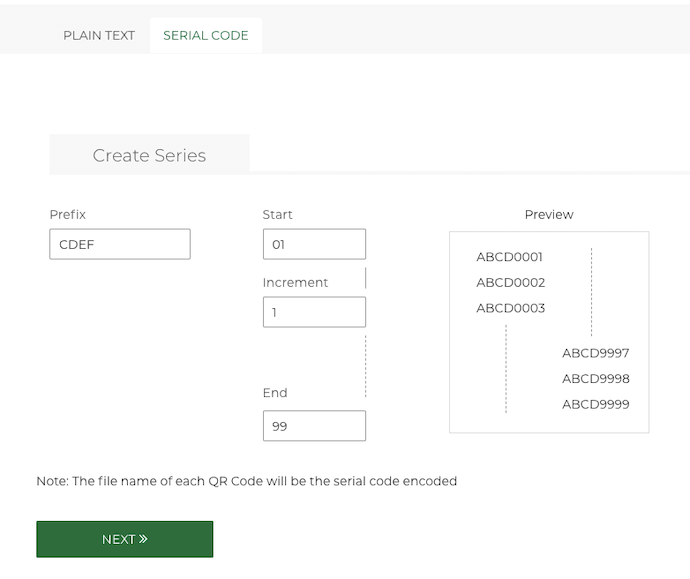 To proceed further, say after you design your QR Code batch, click select under QR Code design. A pop-up will appear prompting you to enter batch name, image size, and format. Enter all the details and click Save. Next, the tool will ask you for a final confirmation. You’ll be able to see QR Code preview for one of the QR Codes. The major advantage of QR Batch is that it charges you only for the QR Codes you create. The higher the number, the cheaper is the rate. 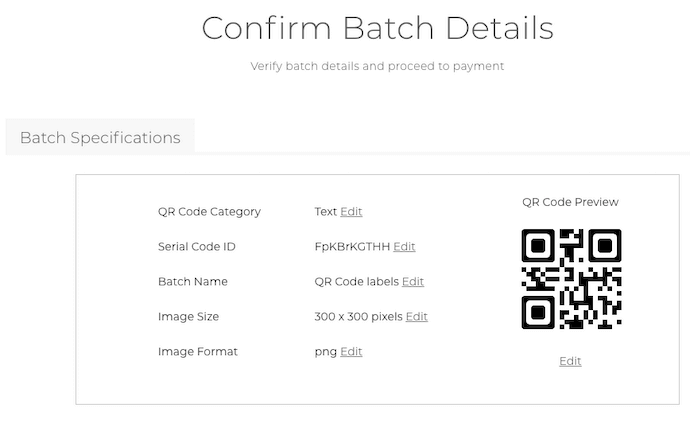 You can also get an estimate of the batch price with QR Batch Price Calculator. The payment is made via Paypal gateway. So you can pay via both Paypal account and credit/debit card. Once you make payment, your QR Code Batch will be generated within a few minutes. If the batch size is large (in thousands), it can take about an hour. As the batch gets generated, you’ll be able to download it from Download Batch section. You’ll also be notified via email as the batch gets ready. Your QR Codes will be downloaded in a zip folder. Unzip it to test the QR Codes again. That’s it. You can use these QR Codes as labels. You’ll need to use ‘mail merge’ feature of MS Word to arrange each QR Code label in its label cell. That’s all you need to know on how to create QR Code labels. 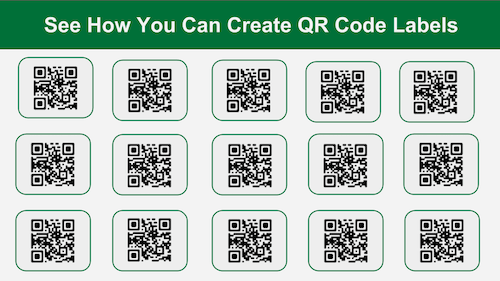 Create your first batch of QR Code labels. Use QR Batch now! If you still have any queries, ask them in the comments below. Ⓒ 2018 Scanova. All rights reserved.